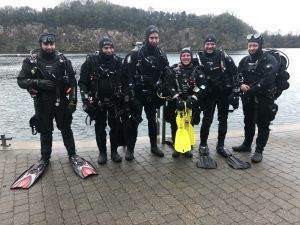 Great to see all the hardened divers at our 2DiVE4 Dive Club Weekend. We had very mild temperatures for December and the visibility is up to around 10m in some places, making it a very enjoyable weekend for all. Congratulations to Steve Patient for completing his PADI Advanced Open Water Course at the weekend.